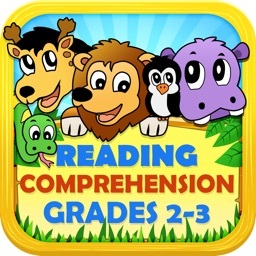 Kids Reading Comprehension level 2 Passages For iPad is an interactive and educational app, developed to assist parents, teachers and caregivers in teaching their children to learn the essential skill of reading comprehension. 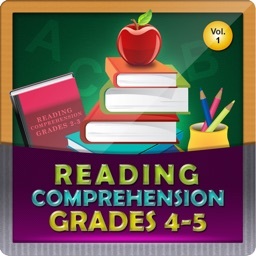 + The ability to keep track of multiple readers (up to four). + Engaging and educational passages pertinent to everyday life. 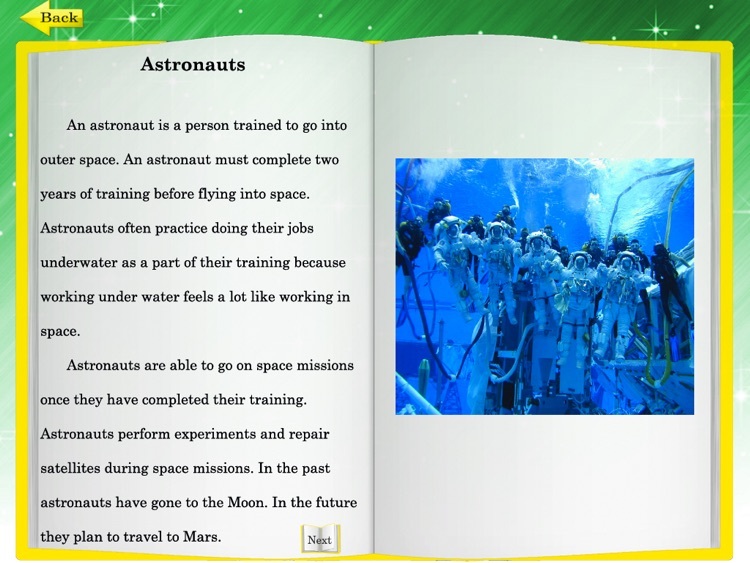 + Follow-up questions that challenge your child to remember what he or she just read. + A fun and entertaining congratulatory experience when all questions have been answered correctly. 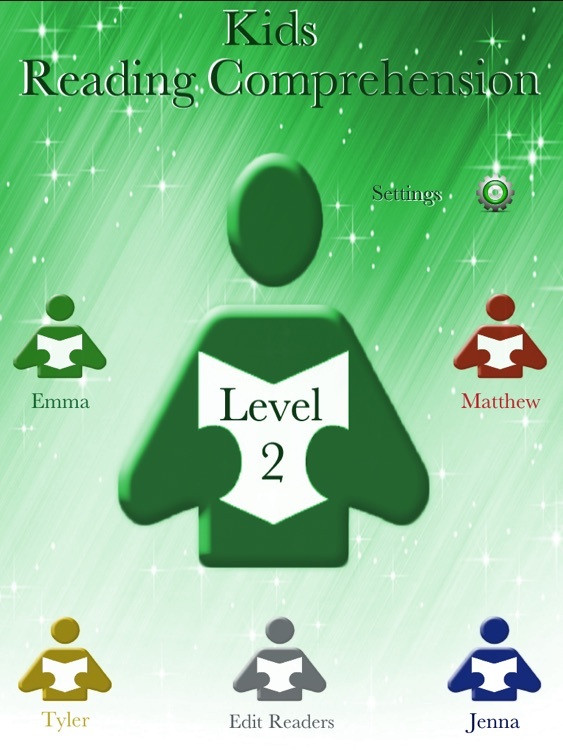 + Progress reports for each child accessible from within the app. 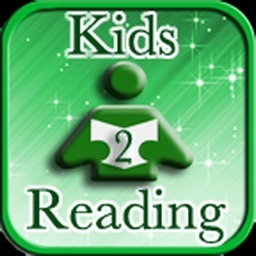 Upon launching the app you or your child will be taken to the main menu. 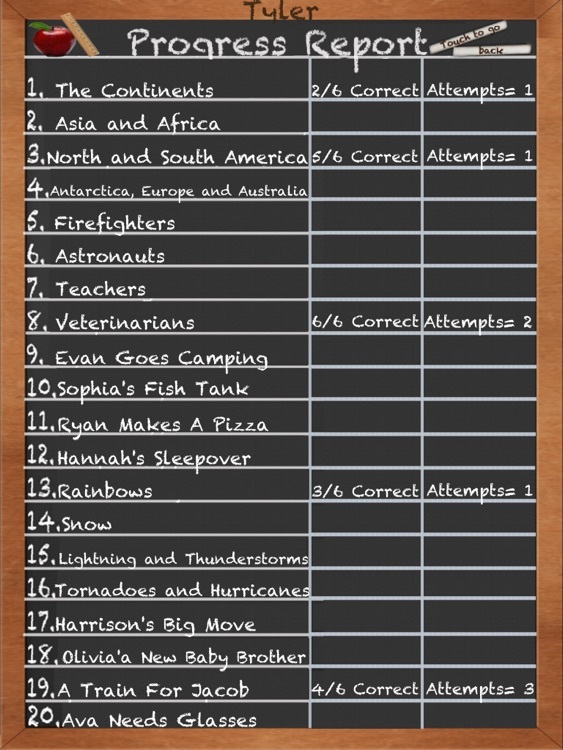 It is here that your child will choose his or her name. 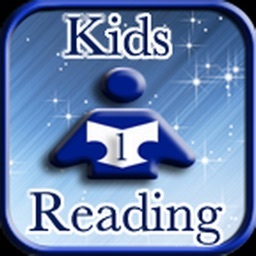 If it is your child's first time using the app, he or she will be prompted to enter his or her name after touching the new reader icon. After entering his or her name, your child will be presented with their own bookshelf. Here your child is free to choose which passage they would like to read. Previously read passages will be marked with a green check. 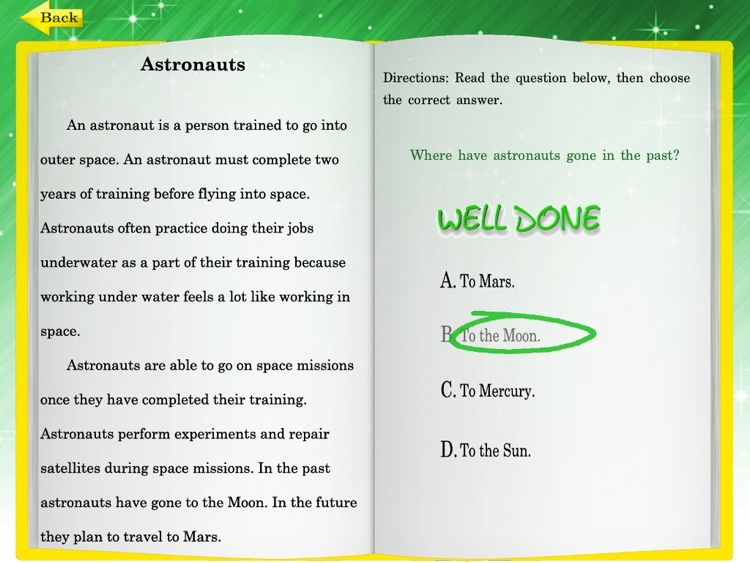 + Add a level of difficulty by hiding the passages while questions are being answered. This can be done via settings. 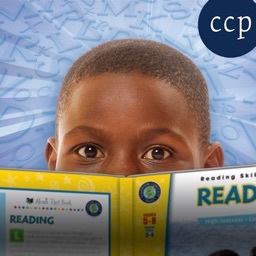 + Access your child's progress report by touching the progress button located in the upper right hand corner of their bookshelf. + Return to the main menu by touching the main button located at the upper left hand corner of the bookshelf. + Return to the bookshelf from within any passage by touching the back arrow button found in the upper left hand corner of every book.